Online home interior designing startup, Livspace works with more than 2,500 freelance designers. 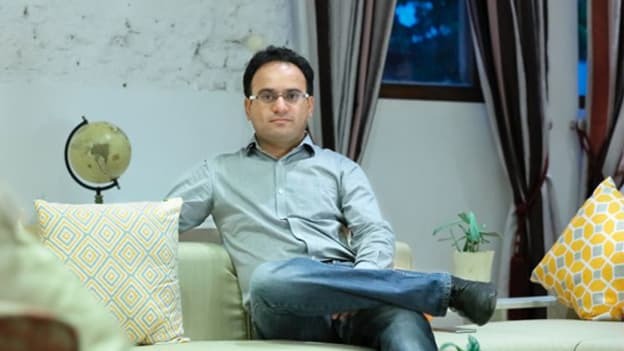 Ramakant Sharma, Co-founder and COO, Livspace shares how Livspace manages these freelancers and creates a good experience for them. The gig economy is expanding at an accelerating rate and reports suggest that by 2020, 50 percent of the working population will be a part of it. In 2017, the size of the global gig economy was estimated at $3.7 Tn, with India not far behind. In fact, PayPal’s recent study stated that India has the largest freelancer market in the world and is highly poised for growth, with web and mobile development, web designing, internet research and data entry being some of the key focus areas for Indian freelancers. As many startups across sectors in India are thriving on short-term contracts and freelance talent, startups in the home decor industry are also leveraging the developing gig economy. Platforms like Livspace and HomeLane, for instance, are aggregating freelancing interior designers on their platforms, creating both an opportunity for the artists and availability for the consumers. When the online home interior designing startup, Livspace launched its operation in Bengaluru in 2015, they were a team of less than 50 people. Later in July 2016, to get more talented people on board, they kick-started the ‘Design Partner Program’. They invited home designers to work on a project basis and equipped them with Canvas, a proprietary SaaS product that automated design. Today, over 2,000 designers are actively designing for Livspace, making up to 6 times the money they made earlier. Interestingly, for Livspace 80 percent of its revenue comes from its design partner community. Although working with freelancers has tangible economic benefits, it comes with its own set of challenges. How can organizations maximize the positives and overcome the challenges that gig workers come with is something everyone wants to know? Ramakant Sharma, Co-founder and COO, Livspace shares how Livspace manages the freelancers on their team. “We had expanded to Delhi-NCR and Mumbai and were experiencing great demand. Realizing that the only scalable model for this industry is creating a three-side marketplace between homeowners, certified designers and vendor partners, in July 2016, we kick-started our Design Partner Program,” says Ramakant. Livspace received over 25,000 applications from interior designers and certified about 2500 designers. “To deliver a world-class interior design experience to all our homeowners, we needed to ensure that only quality freelancers would join the Livspace platform,” shares Ramakant. From stringent screening processes to an extensive certification programme, Livspace had these measures in place from the very start to ensure that only experts make the cut. Livspace paid a lot of attention on learning and development of the whole design community. The freelance designers went through intensive introduction sessions, exclusive online tutorials and even regular skill-up masterclasses. Through continuous learning programs, Livspace tries to ensure that the community is well-equipped to serve its customers in the best way. Livspace built and provided a proprietary SaaS product named Canvas, to its designers. The proprietary design-to-installation platform, allows designers to manage a project, design, present, share, generate auto-invoices in real time and place orders. Further, the adoption of all features and the platform itself is ensured by a strong product marketing team. Livspace is also formulating apprenticeship programs for fresh-out-the-college designers or those who are very early in their careers. They are trying to define a strong growth curve for them, incrementally growing their skills such that they can take up full projects on the Livspace platform independently. Owing to the quality of involvement Livspace’s in-house team has with the freelance designers, it reports a retention rate of over 90 percent amongst top talent. With a vision to become the leading ecosystem brand in the home interior and renovation space in India, Livspace will look to further expand and the freelancing community will play a critical role in this growth strategy. “Livspace plans to expand to 13 metro areas in 2019, up from current seven. To fuel the expansion efforts, growing the design partner community proportionately is one of our key focus areas. Essentially, we will onboard hundreds of additional certified design partners across various metro areas,” says Ramakant. He adds that this addition in workforce brings in more talent-related challenges. Hence, having strong policies around hiring and having more personalized and agile learning interventions in place will be some of the critical areas for the Livspace. To continue in its endeavor to efficiently manage the freelancing community, Livspace will continue to invest in improving technology, learning and development and enhancing the experience of the entire community. It is no news that gig economy is here to stay and will flourish. Large companies and MNCs can learn from startups like Livspace and HomeLane and tap the opportunities that the gig economy has brought with itself.